Darksiders I and II introduced players to the unforgettable characters of War and Death, the first and second Horsemen of the Apocalypse. Their larger-than-life forms and weaponry became the signatures for the franchise. In these first two installments of Darksiders, players’ discovery of new gadgets within the game world helped fuel player progression. 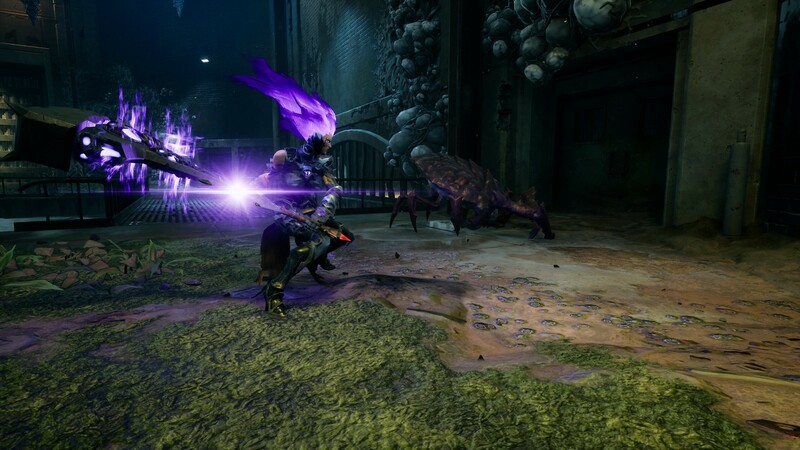 Darksiders III represents a giant leap forward for the franchise in terms of character progression. Like War and Death, our central character Fury, the third Horseman of the Apocalypse, is a force in battle! Her primary weapon of choice: a powerful whip comprised of 347 blades! Unlike her brothers, Fury is a mage, her weapon progression tied to actual changes in her physical form. For example, in Force Fury form, she has a new weapon – The Hammer – and her new traversal move is in ball form. Force Fury is one of the four different forms Fury will unlock as the story progresses. The result of these various sets of forms, weaponry, traversals and powers is more tactical combat. Players can look forward to more meaningful battles and fewer mass battles. Fury will endure major boss fights with formidable opponents including each of the Seven Deadly Sins. Each Sin boasts his own style and presents unique challenges in battle. Sloth, for instance, commands an army of monsters while he leisurely lobs globules of poison. 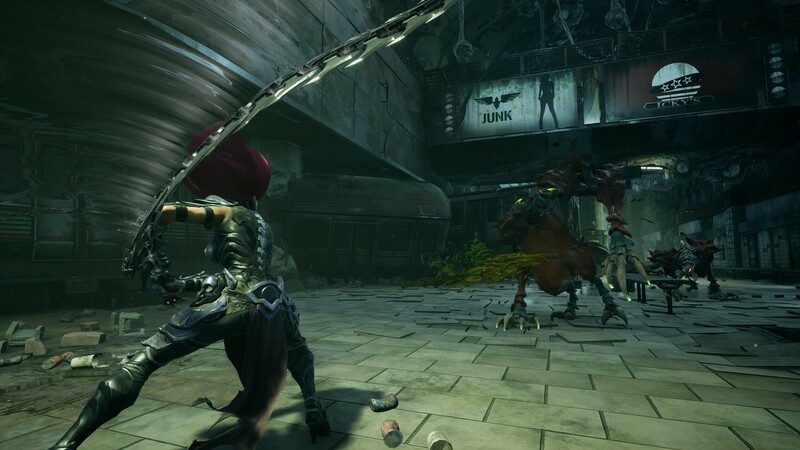 Another important gameplay difference in terms of player progression is that gameplay in Darksiders III is non-linear. 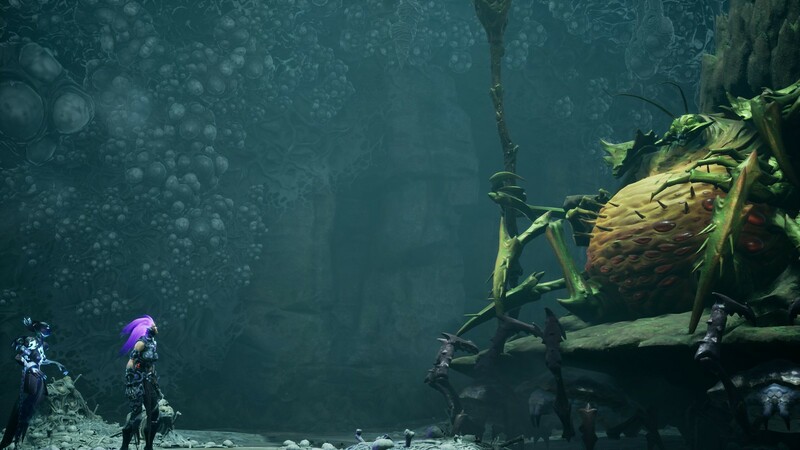 Players can decide which bosses to take on at various points in the story. We believe these changes in gameplay progression create a more sophisticated Darksiders player experience. They serve as a reflection of how complex and defining a character Fury will be for the entire franchise.